Writing on Wednesday: Kudos to an Excellent Copy Editor! 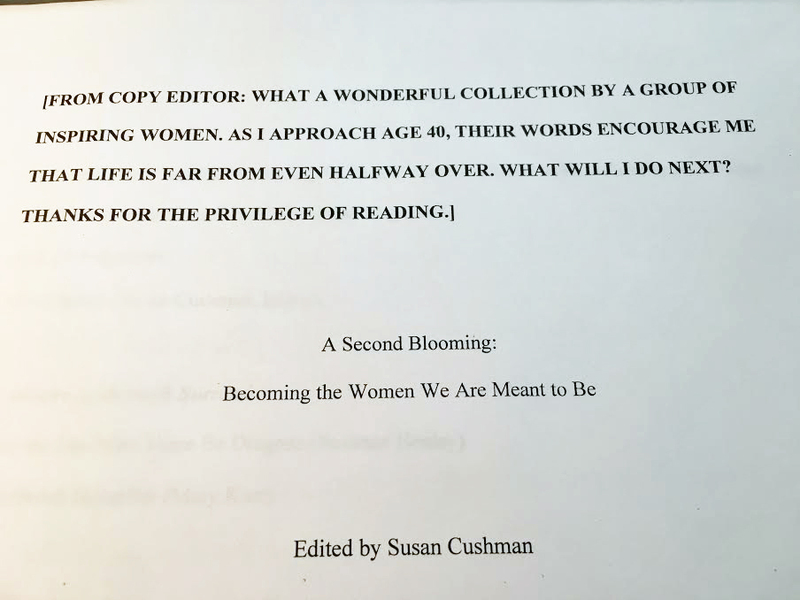 Two weeks ago I did a post about the “first pages” I was anxious to receive from the press that is publishing A Second Blooming: Becoming the Women We Are Meant To Be—the anthology I’m editing. I explained how the publishing process worked, at least with this particular press, and I was excited to get started responding to the copy editor’s comments and questions. Yesterday I put my responses back in the mail to the press. It was quite a process, and I actually had a great time working on it. To begin with, the copy editor is wonderful! She caught things I didn’t catch when I did the initial editing of these twenty essays contributed by twenty writers. For most of the pieces, I was able to confidently accept or reject her changes, on behalf of the contributors. But there were several questions and comments that I didn’t feel comfortable answering, so I sent them off to the original authors for their replies. There were also several author bios that needed updating, so gathering those was also part of the process. The best thing about this project is that the contributors are all such excellent writers that there weren’t massive edits needed. An editor’s dream! 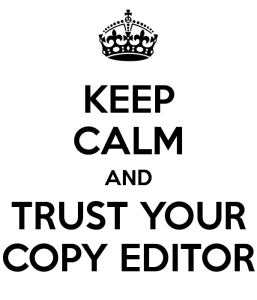 And what a glowing comment from the copy editor to the contributors (see below). I went through the manuscript three times, finally deciding that it was ready to return to the press. Next I’ll receive the “second pages,” or “galleys,” which will include the artwork and layout, showing how the book will actually look when published. I can’t wait! Of course there’s always that fear that we might miss something. Whenever I find a typo in a published book, I cringe, knowing that the author and editor and publisher must also be cringing. But in the end, we’re only human, and once we’ve done our best work, I guess we have to trust the reader to forgive our mistakes and enjoy the stories we have poured our hearts and souls into. I can’t wait to share A Second Blooming with all of you! Stay tuned…. WOW! I am so excited, apprehensive and anxious to see this finally in print – and I’m privileged to be among such inspiring women! Thank you Susan!! Your essay for ASB is amazing. I’m honored to have you!